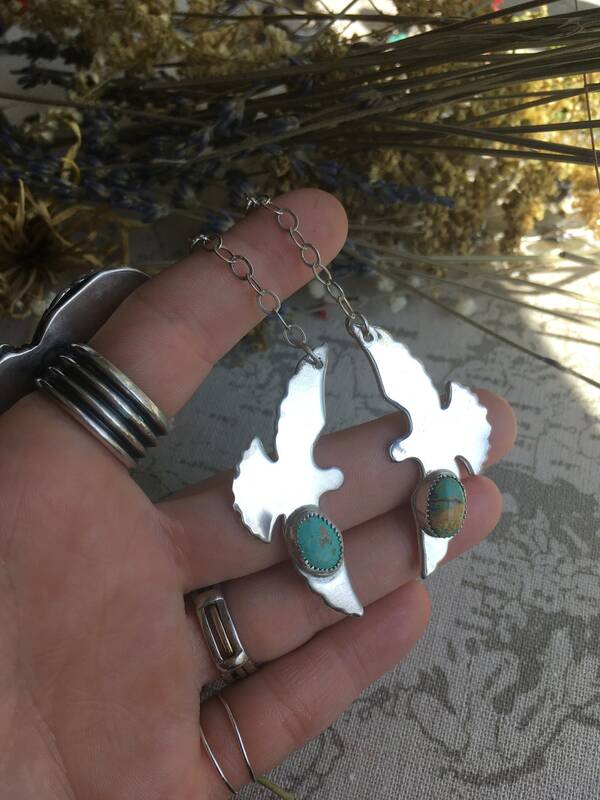 Wild dove hand forged drop earrings featuring hand set Royston Turquoise cabochons. Sensational Turquoise arrangements show brown and green streaks in these brilliant stones. 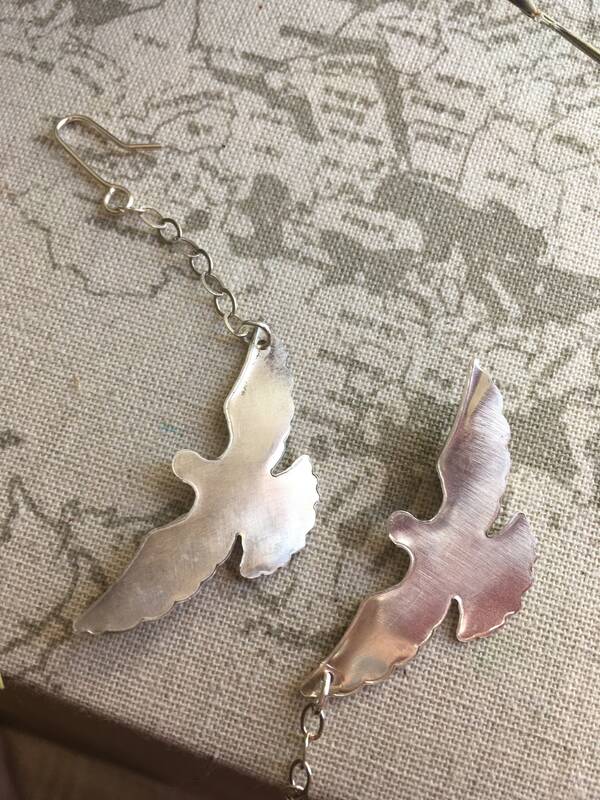 Ear wires are hand forged from 18 gauge sterling silver wire. 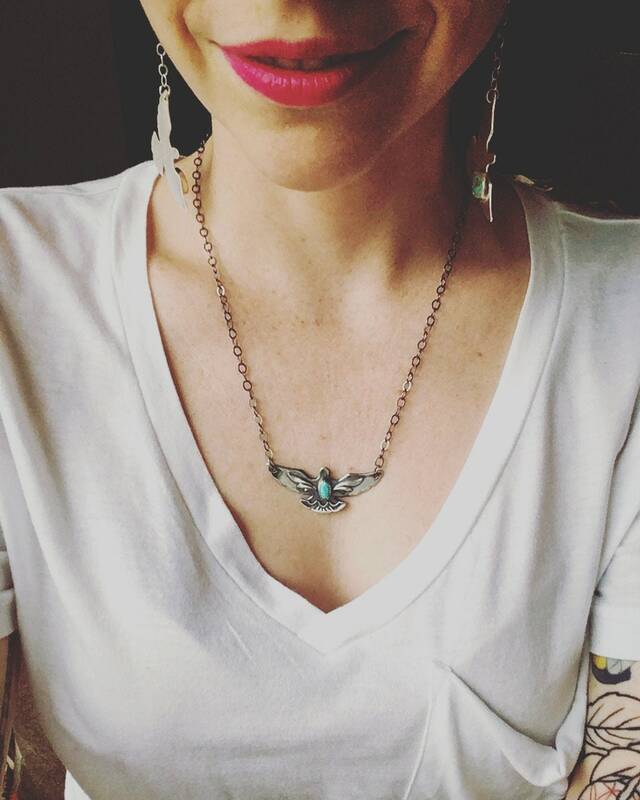 Gorgeous and feminine, these birds soar with your movement! 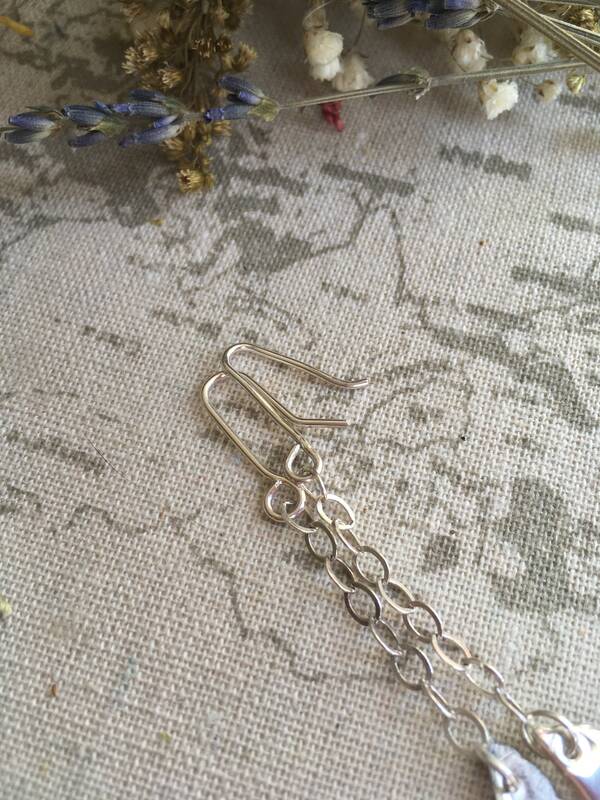 Each earring's drop is 3”. The Dove's width is 2”. The height of the Dove, from head to tail, is 1". 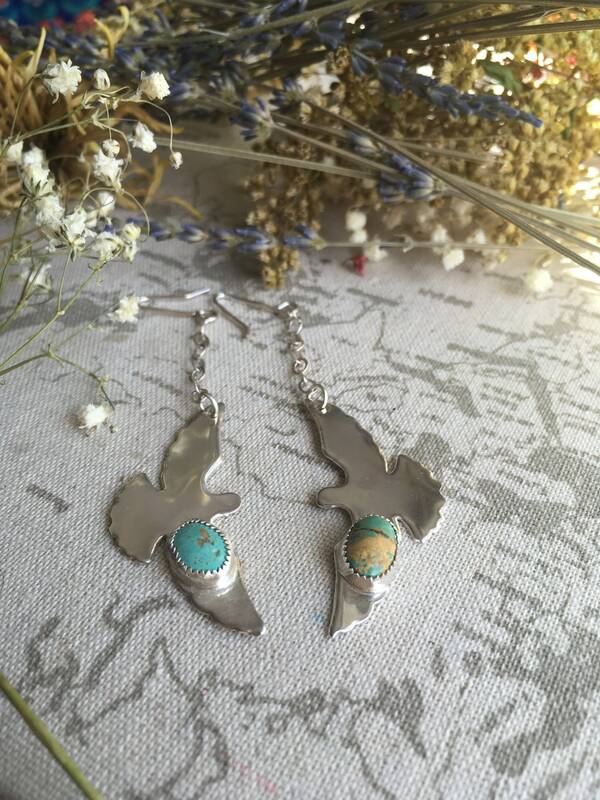 The Native American word 'Luyu' means "Wild Dove"; a symbol for peace, love, and wisdom. The Physical Healing Powers of Turquoise - As a healing stone, Turquoise is among the crystal healing master stones. 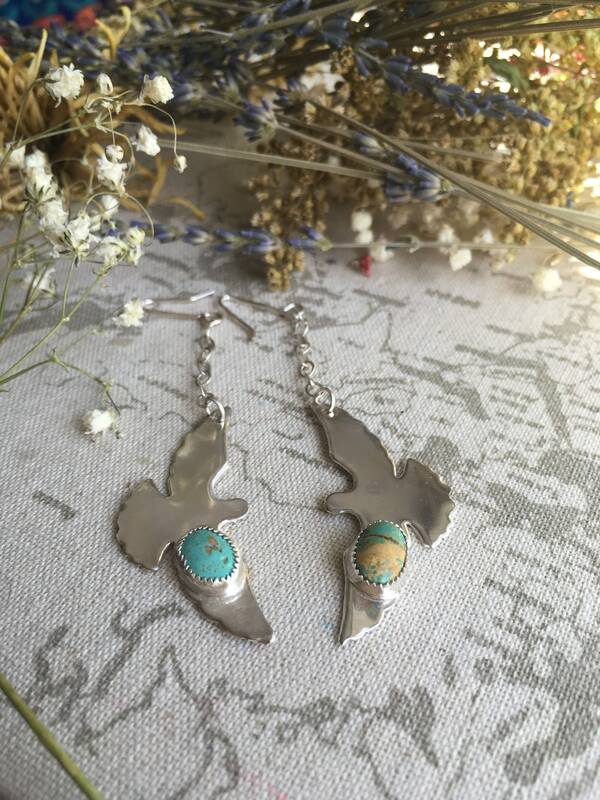 According to followers of the New Age, the healing powers of Turquoise can benefit the whole body, with special strengths in healing ailments of the immune, respiratory, waste and skeletal systems.